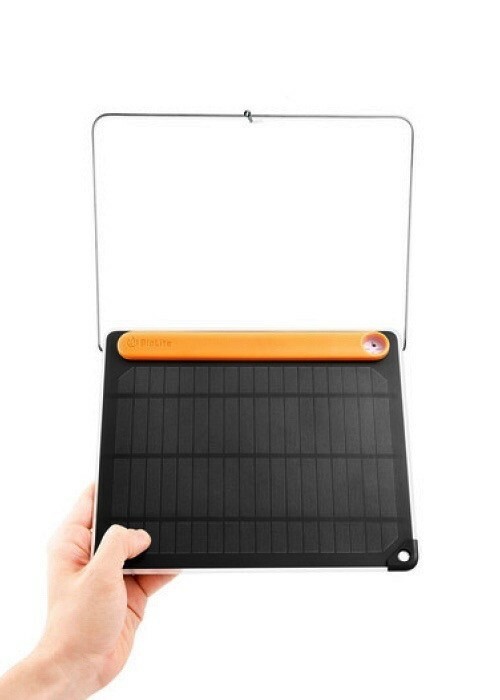 Get the most from the sun with the lightweight & portable BioLite SolarPanel 5+. 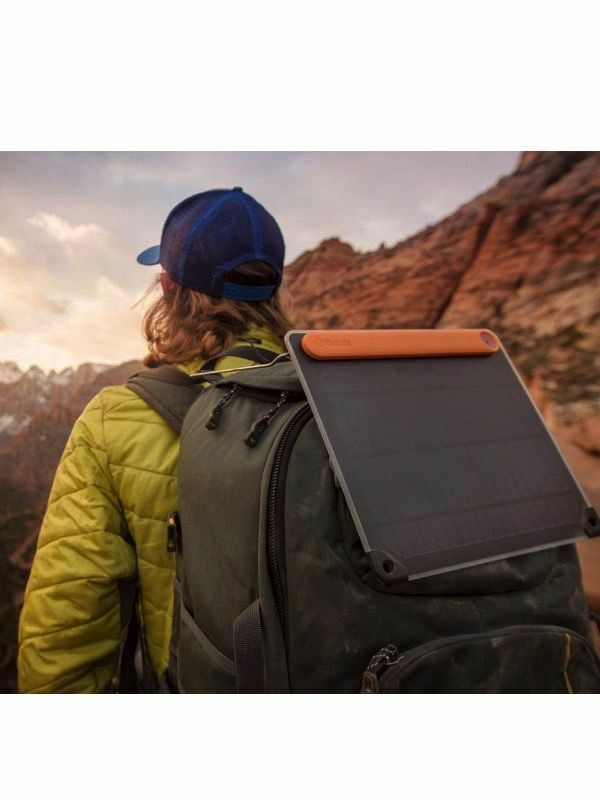 Featuring BioLite's Optimal Sun System, an integrated sundial aligns you to the sun to capture direct rays while a 360 degree kickstand simplifies positioning on uneven terrain. 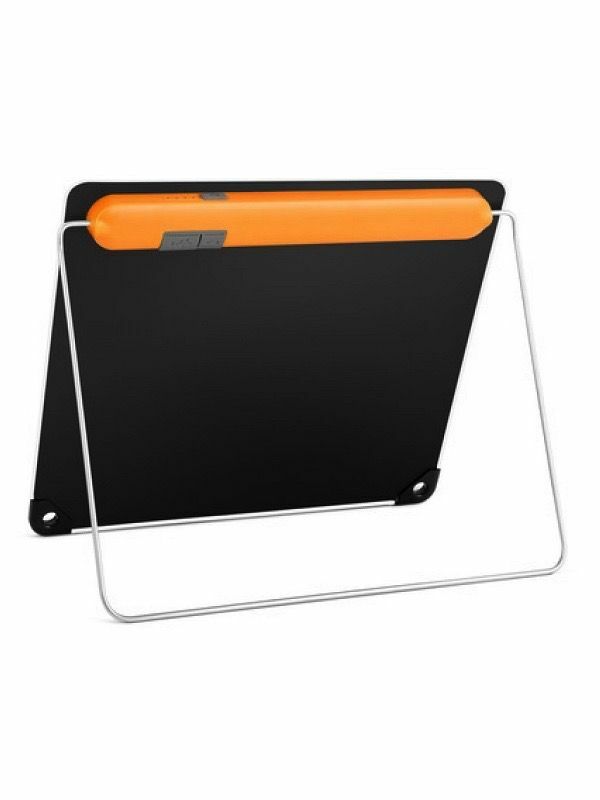 The 2200mAh onboard battery stores energy for later, allowing you to charge devices when you need it most. 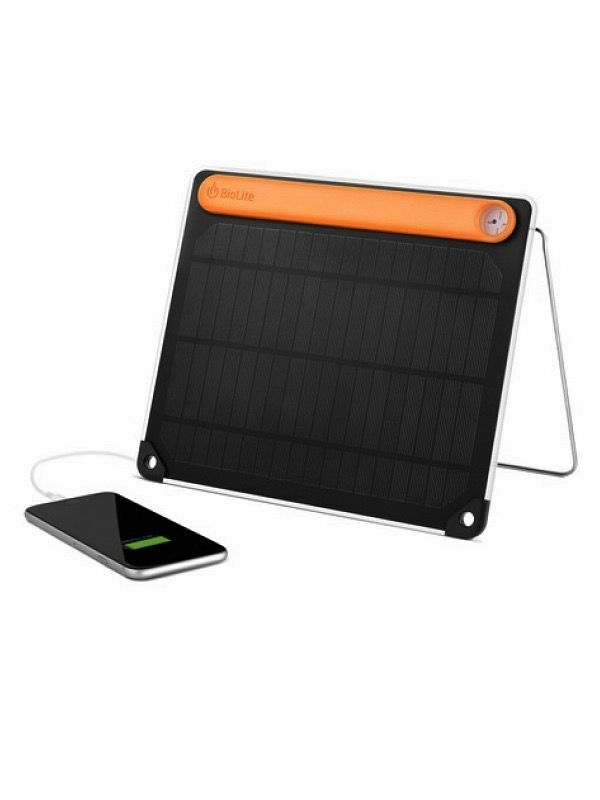 Power phones, tablets, and BioLite gear with this ultraslim 5-Watt panel.